A first of its kind, privately funded program with a focus on reducing PTSD suicides and accidental overdose deaths caused by prescription pain medication in our Veterans and the general public. The VFCF-50 program uses DNA sequencing to determine—and verify the identity of—cannabis strains effective in reducing or alleviating the symptoms of PTSD and Chronic Pain. Performed in collaboration with our partner growers and Medicinal Genomics. We will also focus on getting Veterans into the cannabis industry through robust training and education programs. When dealing with PTSD specifically, very few people are discussing how therapeutic it is for Veterans to work in the fields and grow operations. We seek to provide a conduit to Veterans who are battling PTSD and want to get outside and back to nature. We have seen first hand the benefits of our Veterans working to grow their own medicine and then beginning the recovery process through plant therapy. Dispensaries receive Responsible Vendor Certification by requiring specially trained bud tenders on staff to achieve a VFCF dispensary certificate. Look for the VFCF certified seal and you will find a dispensary providing verified cannabis strains and a staff with in-depth knowledge of their properties, strengths and benefits. Save a life, sponsor a Veteran! 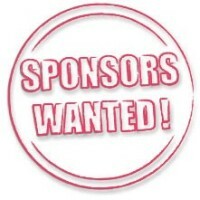 Our VFCF-50 Outreach program is looking for sponsors. Sponsors can be growers, dispensaries, extraction facilities, physicians and any loving citizen who wants to see Veterans get their life back through cannabis therapy. If you’d like to help us provide the most effective, consistent products for veterans to successfully treat chronic pain and PTSD click here. If you’d like to help us end accidental overdose deaths and suicide by contributing to our cause, click here.